Making your own dairy free milk is actually really easy! It helps save a lot of money because store bought nut and rice milks can be expensive. They also usually have added sugar, oil, salt, and other "natural flavors." Here are some simple recipes! 1. Soak almonds overnight or for at least 7 hours. 2. Discard soaking water and rinse. 3. Blend the 3 cups of water and almonds until well blended and almost smooth. Strain using a nut milk bag, cheesecloth, or other fine strainer. New Discovery: Nylons work great!!!! If you get a run in your nylons, don't throw them away. Wash them and they are the perfect replacement for a nut milk bag! 1. Soak cashews for at least one hour. 2. Discard soaking water and rinse cashews. 3. Place soaked cashews and 2 cups water into a blender and blend until smooth. You can use more or less water to vary the thickness of your raw cashew milk, depending on your personal preference, but in general, you want a 1:4 ratio of cashews to water. You can also strain the cashew milk. Blend 1 cup cooked oatmeal with 4-5 cups hot water until smooth. This will thicken up when it cools. You can add more or less water depending on how you like it and you can strain it if you want. Put in a high speed blender or food processor until smooth, then strain through a nut milk bag, cheese cloth, a fine mesh strainer, or an old (but clean) pair of nylons. It will look like soupy rice pudding. In batches, fill your blender halfway with the rice mixture and halfway with water. Blend until very smooth. Strain. If the holes in your strainer are too big, the rice milk ends up thick. If looks like rice cream, you can either try straining it again or adding more water to dilute it. Additions to flavor up your milk! 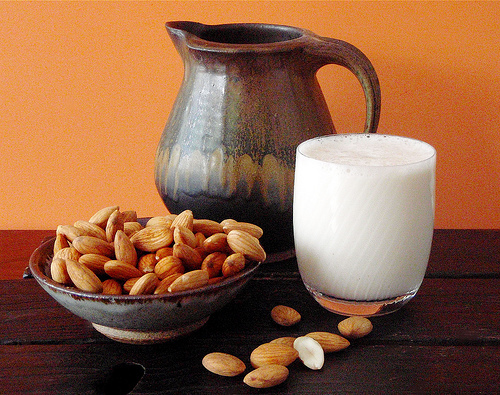 You can also mix your milks or experiment with different nuts, grains, and seeds. I have also made milks by combining things like sunflower seeds, sesame seeds, hazelnuts, macadamia nuts, brazil nuts, hemp seeds, walnuts, pecans, coconut, and millet. The recipes I posted were just the simplest and best tasting. The native people in Central America soaked their nuts and seeds in seawater and then set them out to dry in the sun. Unfortunately, whole grains contain phytic acid in the bran of the grain which combines with key minerals, especially calcium, magnesium, copper, iron, and zinc and prevents their absorption in the intestinal tract. This makes it more difficult to digest properly. Soaking, fermenting, or sprouting the grain before cooking or baking will neutralize the phytic acid, releasing these nutrients for absorption. This process allows enzymes, lactobacilli and other helpful organisms to not only neutralize the phytic acid, but also to break down complex starches, irritating tannins and difficult-to-digest proteins, including gluten. 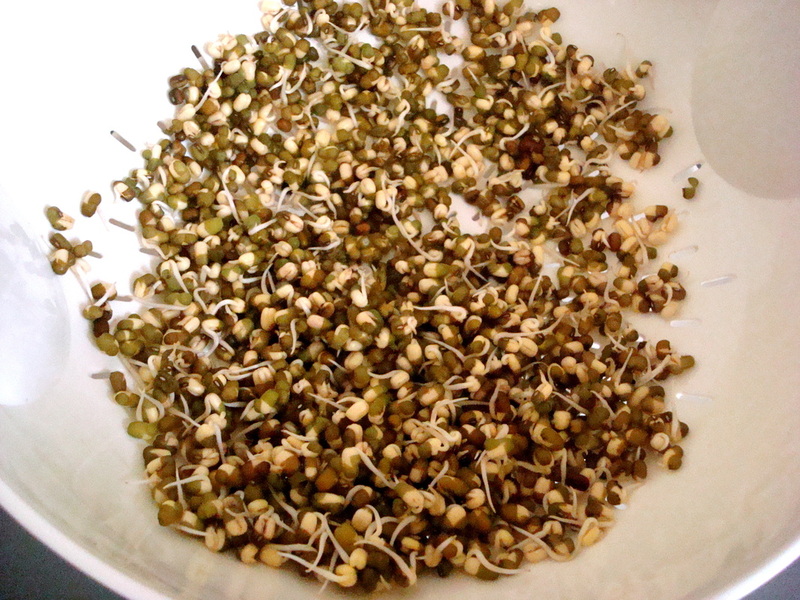 If you don't have time to sprout, soaking is another great option! Soak the flour, grain, or beans in an acid medium and warm liquid. Flour: Soak all the flour with the liquid ingredients in the recipe and 1 Tbsp of an acid medium per cup of water. If the substance is too dry to mix well (i.e. more flour than can mix evenly with the liquids), you can also add the liquid oil and sweetener (honey, maple syrup or agave) called for in the recipe to the mixture. This will help maintain a moist consistency that is easy to combine with the other ingredients after soaking. (Do NOT soak in eggs, salt, or baking soda). Cover with a plate or damp cloth (so it doesn't dry out) and soak for 12 to 24 hours at room temperature. Grains and Beans: soak in twice as much water with 1 Tblsp. acid medium per cup of warm water (make sure the water goes a couple of inches above the beans because they will expand). - Brown rice, buckwheat, and millet do not have as high of phytate content so they can be soaked for as little as 7 hours (these are great last minute grains if you forget to soak, won’t be a big problem – also this is why brown rice pasta is wonderful). 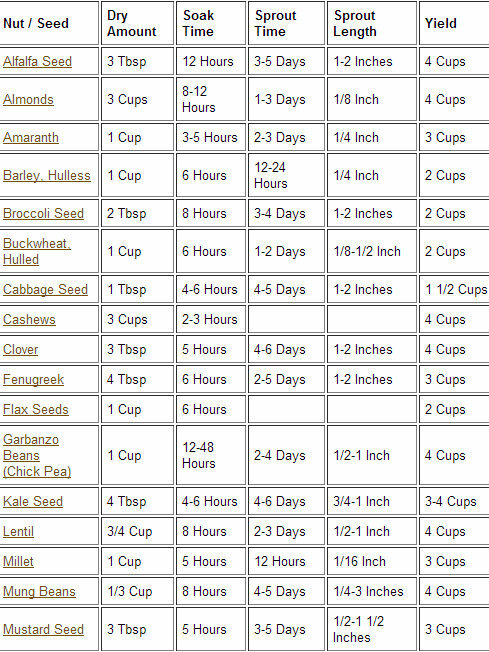 Most other beans and grains should be soaked from 12-24 hours. 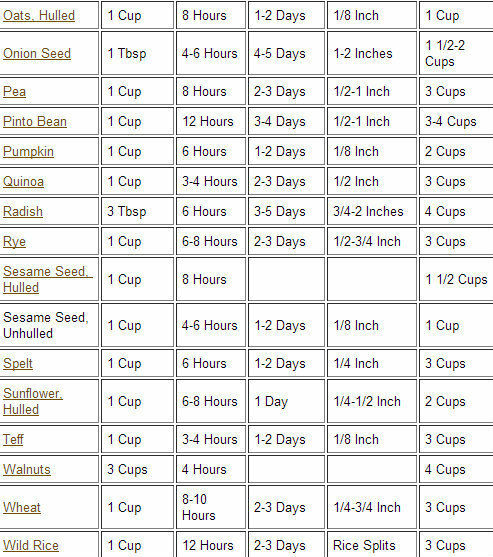 Oats have the highest level and are best if soaked for 24 hours. 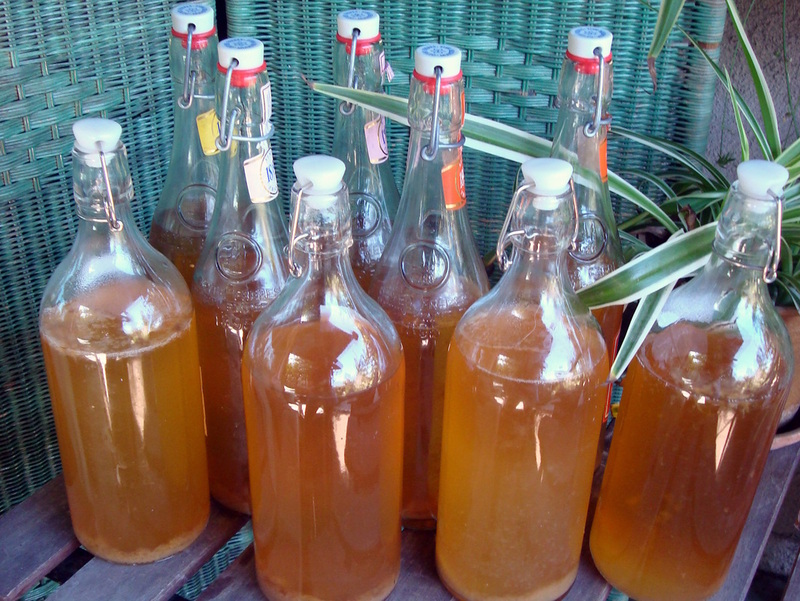 - Acid mediums options include: milk kefir, coconut kefir, water kefir, plain yogurt, whey, lemon juice, buttermilk or apple cider vinegar. 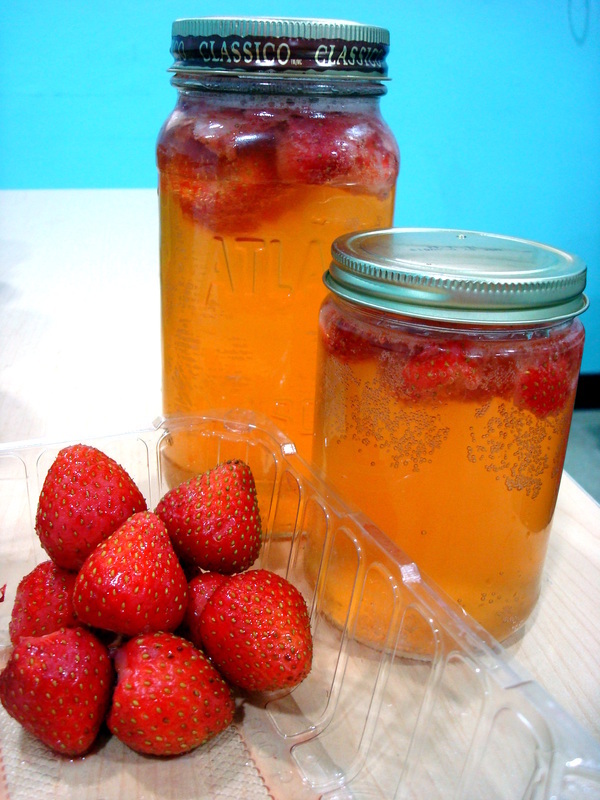 - Make sure to use warm filtered water/liquids for soaking. Warm water is necessary for the soaking process to be effective. Warm the water/liquids until they are bath water temperature before adding to the grain/flour. Nuts and seeds should be soaked in sea salt. This helps activate enzymes that de-activate the enzyme inhibitors. Nuts do not contain much phytic acid but do contain high levels of enzyme inhibitors. Dissolve salt in water, pour over nuts, using enough water to cover. Leave in a warm place overnight (7 to 24 hrs). Then rinse, pat them dry, and spread them on a tray. Place in a dehydrator or a warm oven (no warmer than 150 degrees) turning occasionally, until thoroughly dry and crisp. 200 degrees F is the lowest temperature most ovens go to, which will destroy the good enzymes. However, personally, I think it would be better to have soaked and slightly toasted nuts then unsoaked nuts. MY FAVORITE: I usually put the tray of soaked nuts in my car during the hot months. If you live in California (or another warm area) this is perfect. My car gets just as warm and dry as my dehydrator! Also, if you have floor heating (like I do in Korea) then just place the tray over the warmest part of your floor and they should dry in a day. Soaking is actually quite simple. The key is thinking ahead! I usually just soak things the previous night when making dinner so it will be ready for the next day. If you have never heard of kefir, I am about to change your life. It is similar to a yogurt, only thinner and with significantly more health benefits. 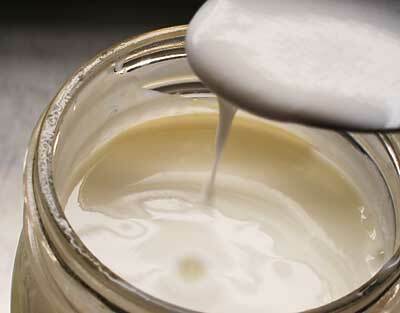 Kefir contains around 35 major strains of healthy bacteria that do not exist in yogurt. Don't get me wrong, yogurt is still very healthy! But unlike yogurt, kefir’s healthy bacteria, active yeast, and digestive enzymes actually help digest all of the foods you eat. The healthy bacteria not only eats up candida and sugars, it actually colonizes in your gut to help digest your food and kill off future pathogens. It helps keep you regular (not in a bad way!) so I highly doubt you will ever suffer from constipation. Also, if you drink it at night you will not have acid reflux. 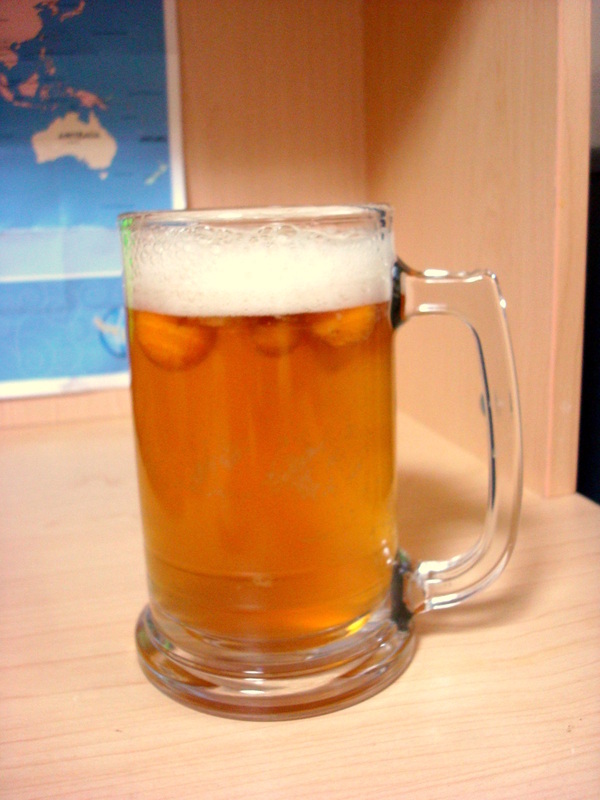 AND the yeast in the grains feeds on lactose in the milk so many people with lactose intolerance can enjoy it! I know I post about kefir all the time, but I will never be able to cover all of its health benefits. I am always reading new studies and articles on the amazing qualities of kefir and there are countless stories about people who have cured long term illnesses, allergies, digestive problems, etc. You can buy kefir from the grocery store, but making it at home is really simple, helps you save money, and is also much healthier because it doesn't have additives. 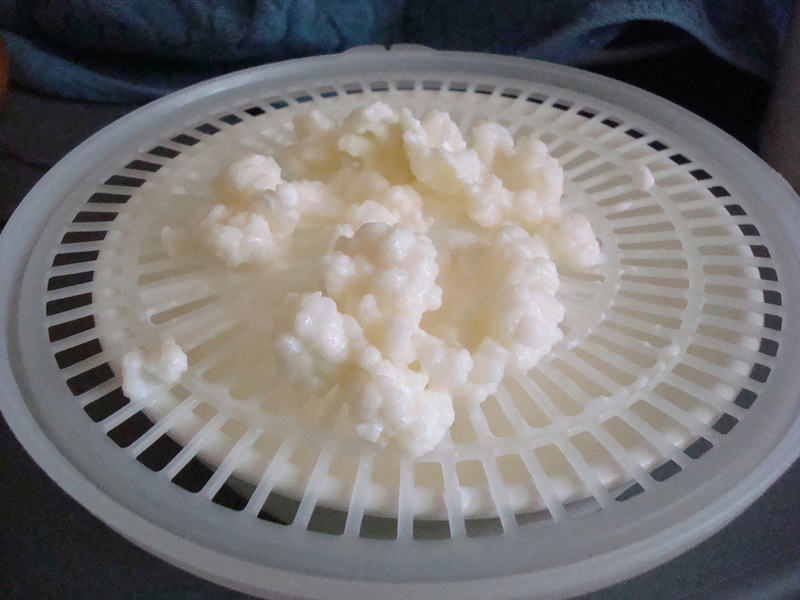 To start making it, all you need are some kefir grains (see picture below). They look similar to cauliflower and are a combination of yeasts and bacteria, along with some sugars and proteins. I can send you some or you can order them other places on line. Once you have the grains they will last forever and continue to multiply if you keep feeding them with milk. I am constantly dehydrating my extra grains to save them (instructions below). Kefir tastes wonderful in smoothies or by itself and can also be replaced for buttermilk in baking. Put kefir grains in a glass jar and pour in a couple cups of fresh milk (preferable raw organic, but you can do it with any milk). Let it sit on the counter with a cloth and rubber band covering it (EDIT: I no longer use a cloth, but instead an airtight lid. This seems to work really well!!) for 12 to 24 hours (depending on temperature and the ratio of grains to milk). Usually I do about 1 Tbls grains per cup of milk. The longer it sits the more cultured and stronger it will get. However, you don't want the curd and whey to separate because then it will start to taste like blue cheese and it will be very thin. It will help if you mix it a few times during the day. When the kefir is ready, strain it and repeat the process. Make sure to only use wood and plastic utensils because metal is supposed to be harmful for the culture. When I do this in California in the summer I usually only let it sit for a day; however if it is a little cooler or if an air conditioner is on, it usually takes a day and a half. It took me some experimentation before I could make the perfect thick creamy kefir that I love! Kefir grains GROW, so I like to use my extras to culture non-dairy milk. 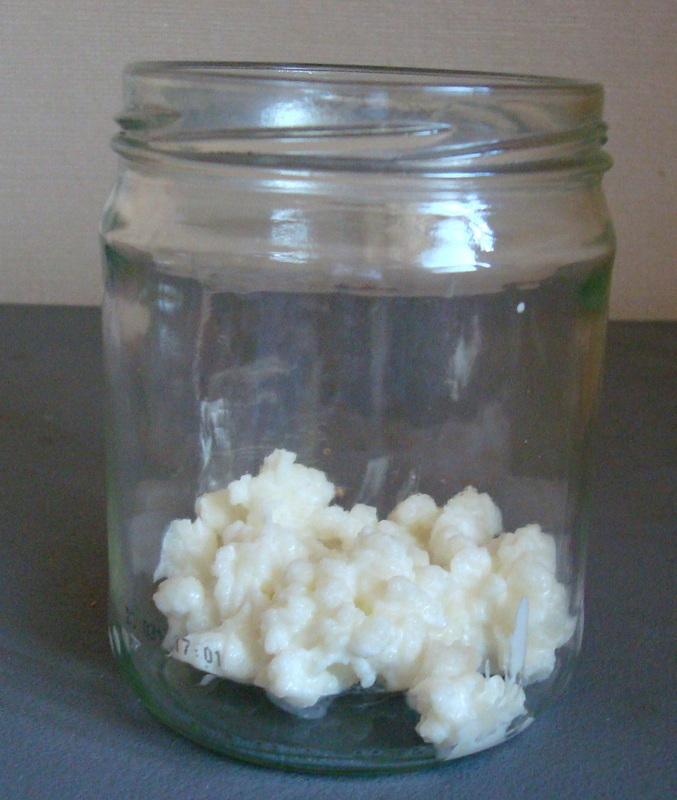 However, kefir grains will not multiply when they are cultured in non-dairy milk. For more instructions, you can read my post: Coconut Milk Kefir. You can also make Kefir Cheese. This is a creamy cheese that works really well in dips, cheese cakes, and ice creams. 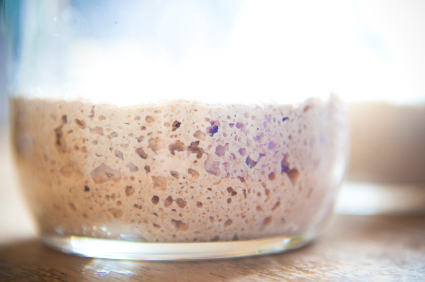 Step 1: Put the kefir grains into a glass jar, bowl, or cup. Step 2: Poor fresh milk over the grains, cover with a cloth or lid, and leave at room temperature for 12-24 hours (depending on how sour you like it). If you remember, you can stir it or if it has a lid you can shake it during the culturing process to mix the grains in with the milk. 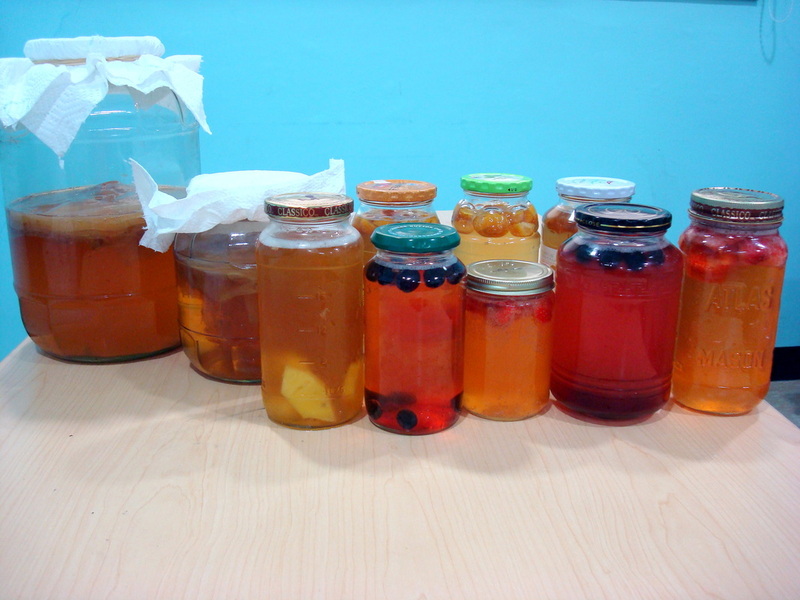 This will help to create an even consistency in the kefir. Step 3: After the kefir is cultured to your liking, strain out the kefir grains. Use a plastic or mesh strainer because metal is supposed to be bad for the culture. If you need to store the kefir grains, put them in a container covered in some milk and make sure to replace the milk every couple of weeks. Also, extra kefir grains can be dried or frozen. When you dry your kefir grains, they shrink a lot! So I would wait until you have a sufficient amount before drying them just in case they don't all come back to life. Rinse the grains several times with filtered water. Pat with a clean wash cloth or paper towel to get any excess moisture out. 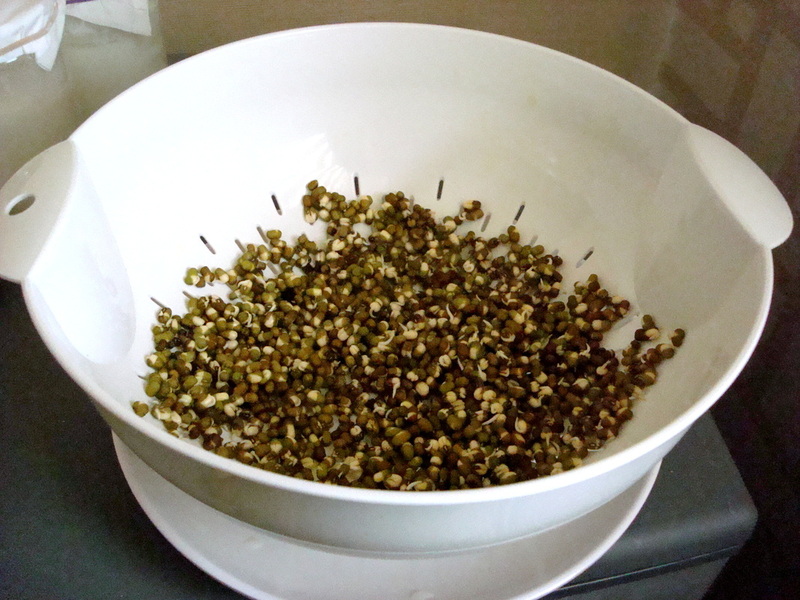 Then lay them out on a clean dry towel in a warm area for 1-2 days until they are completely dried out. In Korea we have floor heating so I simply put the towel on the floor and they dry out by the next day. A warm car in the summer would also work well or of course a dehydrator if you have one. Once they are dry, put them in a sealed container (adding some dry milk powder will make them last longer) and keep in the refrigerator. When you want to use them again (I tested this out after about 2 months of being dried) just treat them like normal kefir grains and replace the milk every 24 hours. The first couple of batches might not be the best, but after a few days the kefir should start to grow again. I froze mine in a container with some milk. After 1 1/2 months I thawed them at room temperature and replaced the milk every 24 hours. The first couple of batches weren't great but by the 4th day I had good kefir again. 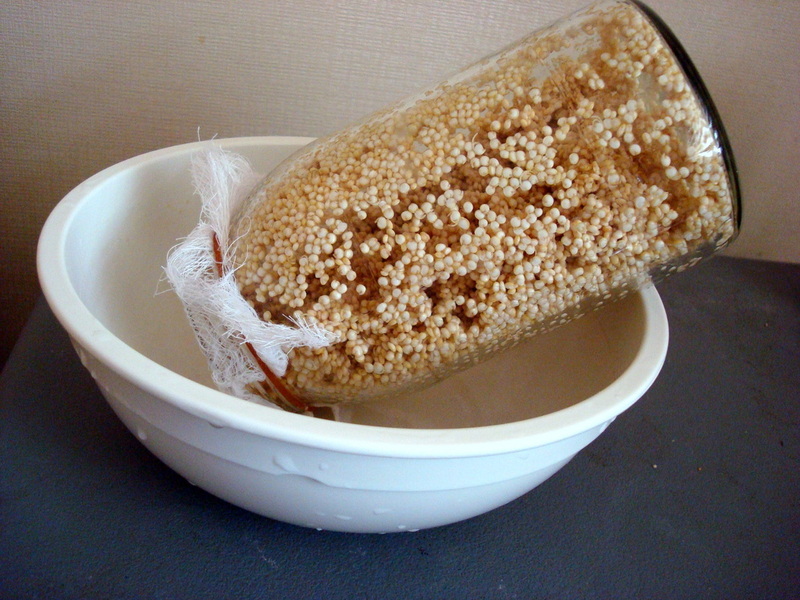 Drying my kefir grains. They will shrink a lot and become yellow. Exposing oils to high heat can result in the production of oxidized compounds and free radicals that are harmful to our health. If I don't want to add an extra flavor to whatever I am cooking, I will just add a little water to prevent the vegetables from sticking to the pan. If you don't like things to be dense, you might want to add half the amount of the oil replacement and use carbonated water instead of regular. If you really want to use oil in cooking, I would recommend using coconut oil. You want to use an oil low in polyunsaturated fatty acids because when heated, these turn into carcinogens and mutagens.